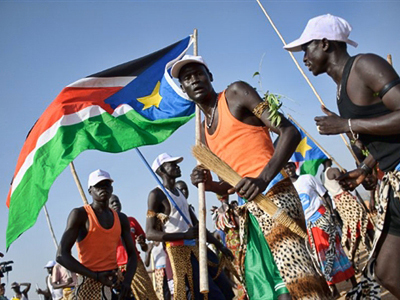 South Sudan has raised the flag of its new nation for the first time, as thousands gathered in the capital of Juba to celebrate the country's birth. Russia, among other countries, has recognized South Sudan as a sovereign and independent state. ­Earlier on Saturday, July 9, the country’s independence was recognized by the United Sates, Egypt and Sudan. Russian envoy Mikhail Margelov delivered Russian President Dmitry Medvedev's message to South Sudan's leader Salva Kiir in connection with the recognition of the young state. Medvedev said Russia was ready to actively cooperate with South Sudan on economic issues. “I hope that our cooperation will contribute to stabilization and security development in Africa,” said the message. As the Russian envoy told RT, the fact a new state appeared not as a result of a war, but following a peace agreement between Sudan and South Sudan was extremely important. “I can see that people are really happy. They’ve fought for this independence for 50 years, arms in hand. But they gained it not as a result of war, but in the course of a peaceful political process and implementation of a comprehensive peace agreement. This case is unique, and not just for Africa. 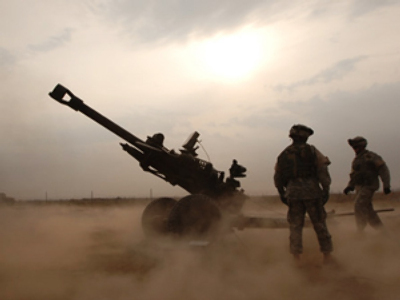 It confirms a thesis that political problems are unlikely to be solved by bombardments or military operations. Political problems are solvable only by political solutions. They need to understand that this fact has never been more topical,” said the Russian envoy. Margelov said he believes that the authorities of Sudan and South Sudan will manage to keep peace as it is important for the economies of their countries. “Nobody wants war. Everybody wishes peaceful political solutions to problems. There’s no need for wars in places that smell of oil, especially if people know how to extract and sell this oil. So I think that the political elites of the two Sudanese states will find a common language,” he explained. Margelov also emphasized that Russia played a significant part in the birth of the new nation. “Over the past two or three years Russia has been working hard to make this peaceful divorce possible. Eventually, it has taken place,” said Margelov. The Russian envoy also stressed the importance of the international support and the interest of Russia in cooperation with the new state. 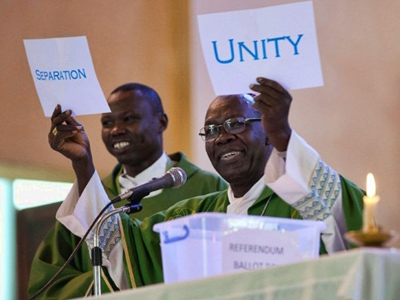 “It’s vitally important for us that the leaders of all African countries have gathered here. Delegations at the highest level have arrived from Europe and America. A large delegation is representing Russia. It includes representatives of Russian business circles. We are interested in developing ties with the Republic of South Sudan,” said Margelov. 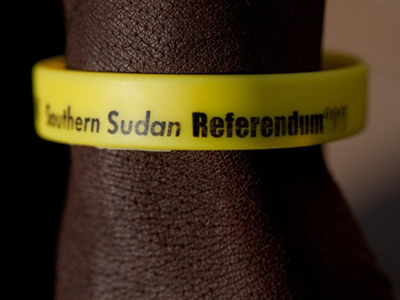 South Sudan became the world's newest country on Saturday officially breaking away from Sudan. The flag of Sudan was lowered and the flag of South Sudan was raised. The speaker of South Sudan's legislature James Wani Igga read a formal proclamation of independence during a packed ceremony in the new country capital, Juba, and then Salva Kiir was sworn in as president. 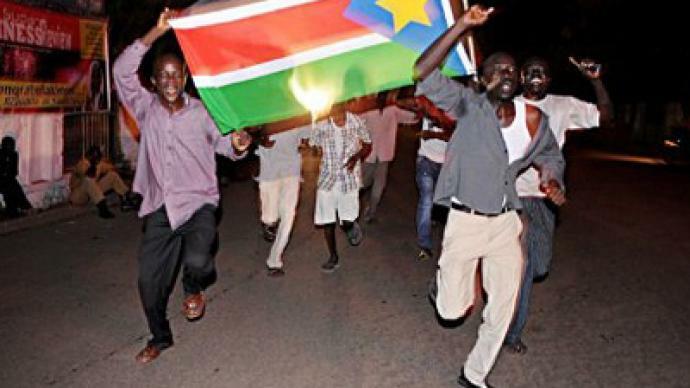 The news led to a street party; some South Sudanese wiped away tears of joy. South Sudan is expected to become the 193rd country recognized by the United Nations next week and the 54th UN member state in Africa.